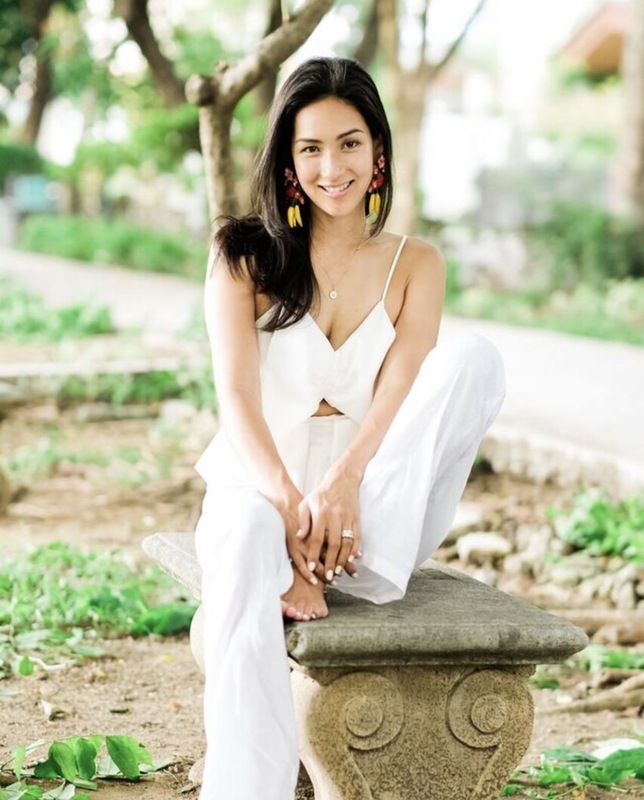 Posted February 12th, 2018 by Stephanie Zubiri & filed under Travel. 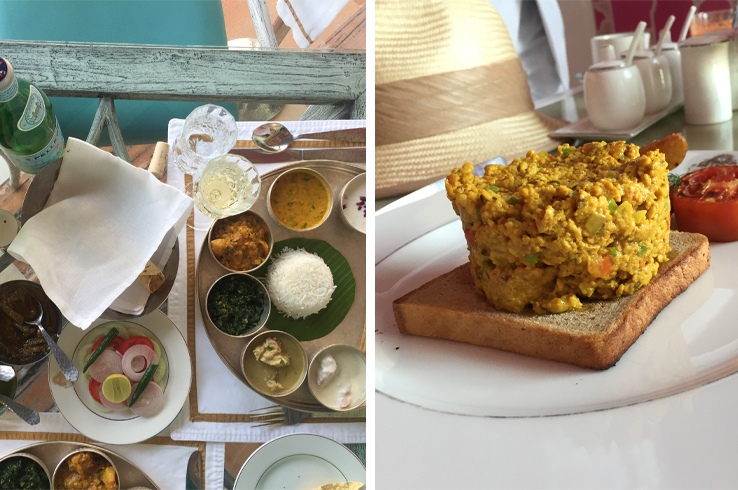 Why go: Because India is truly incredible and that being said, it can be overwhelming. 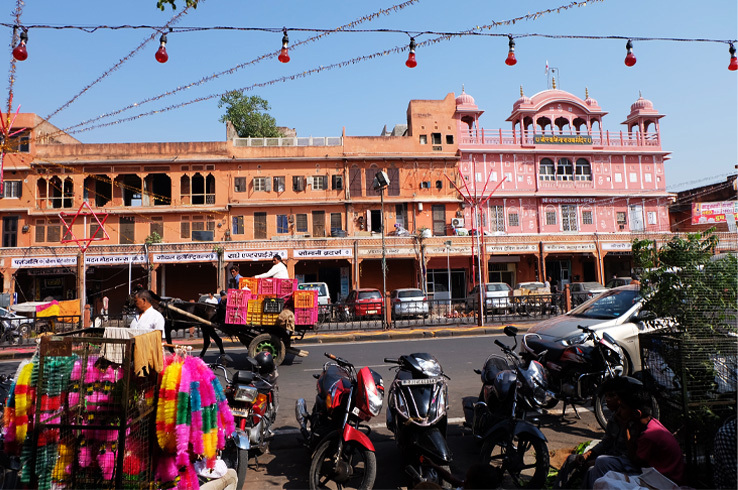 Just a short flight away from Delhi with regular connections, Jaipur is a vibrant city that is not only rich in culture and historical heritage but full of fresh, current energy. It’s also of a very navigable size so first time travelers don’t feel too lost or disoriented. 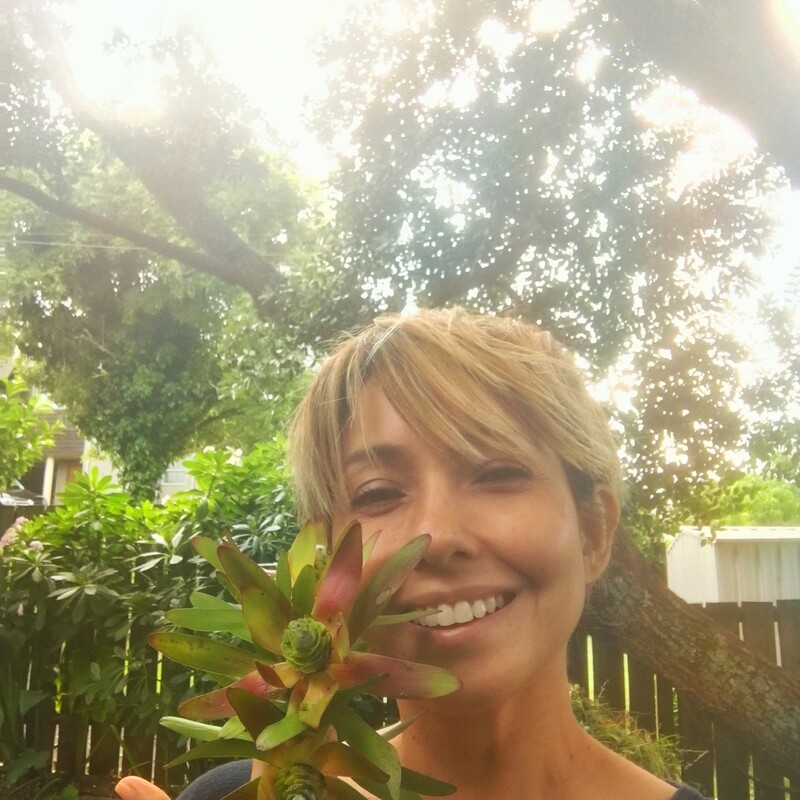 What to pack: Go local! Tunics over slim pants, long flowy caftans and lots of color! You can also do mid-calf length skirts with nice blouses but do stay covered up lest you draw unwanted attention. Most men, whether in the markets or in chic locales are in trousers and a shirt, or at least with a collar. Therefore, gentlemen, ditch you touristy shorts and t-shirt and bust out your khakis, cottons and linens. 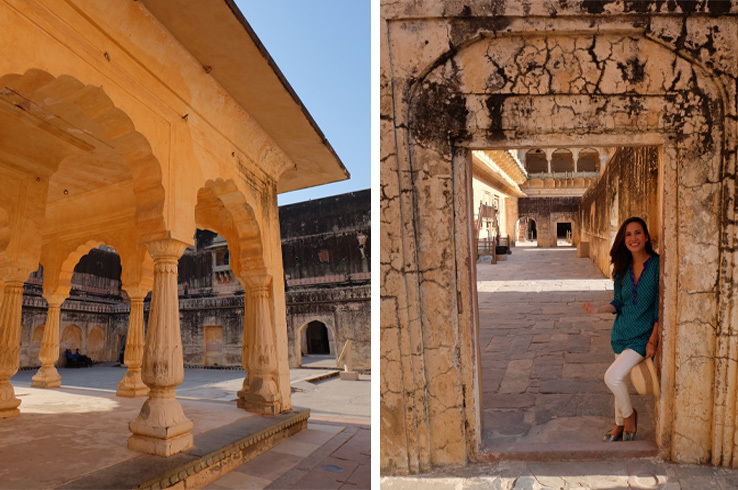 A good pashmina and a nice blazer will keep you warm on cool Rajasthani nights. 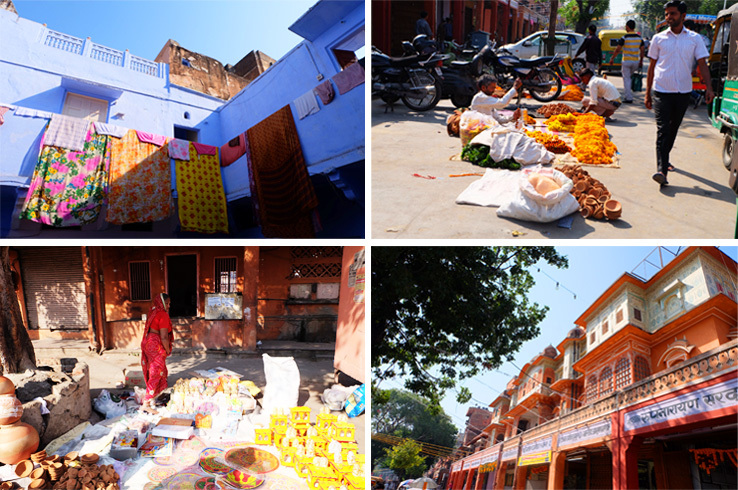 Love / Lust: Jaipur is known for it’s amazing jewelry, I love how there are streets full of gorgeous inexpensive pieces. 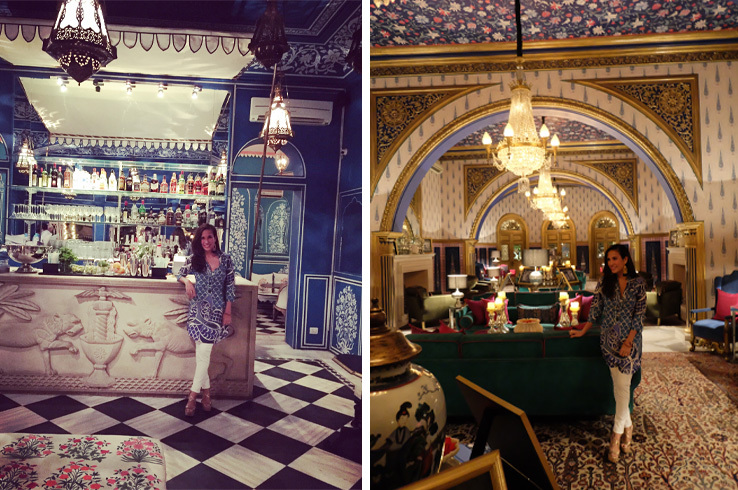 However, I was lusting over the ornate antique parures with rough diamonds and gems at the Gem Palace. 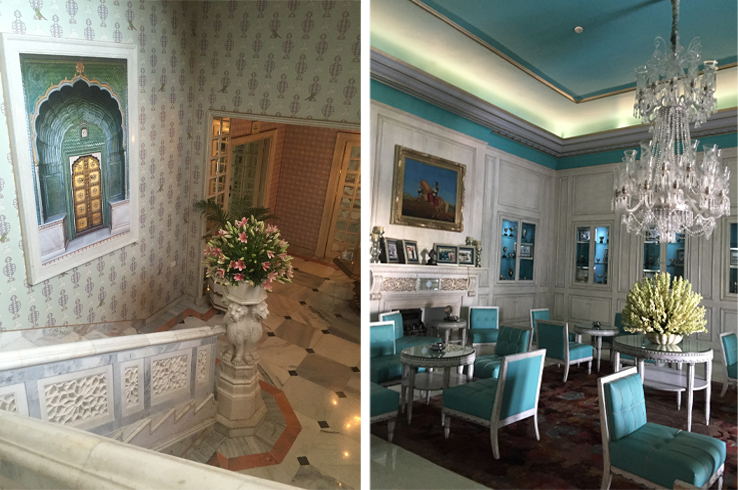 Stay: The Sujan Rajmahal was just a spectacular experience. 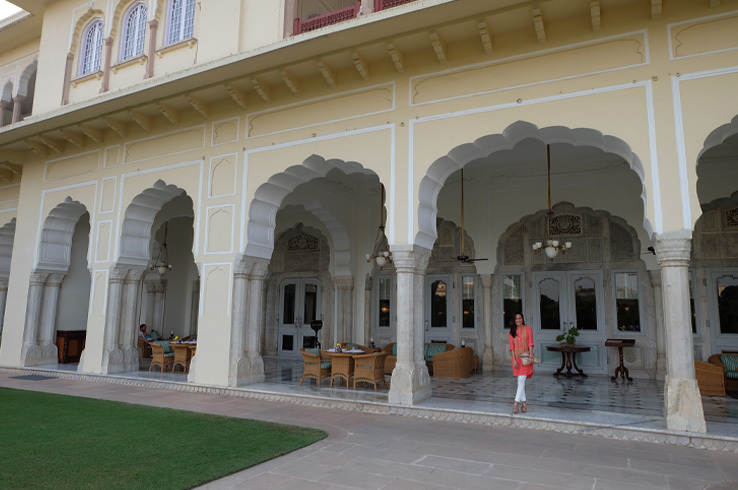 From the moment we rolled up on that pink sand driveway to when they served us perfectly chilled glasses of bubbly as a welcome drink and they announced that they had upgraded us to the gorgeous Mountbatten Suite, right down to the very end. We didn’t want to leave. We felt so at home, like we belonged. 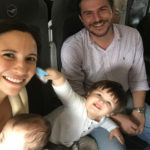 It didn’t feel like a hotel experience but as if we were really part of the family. It’s all in the small details like how they send back your laundry wrapped up in tissue paper or the little gifts they put on your bed for turn down service. We always saw the same staff who were always friendly, at your service but never imposing. 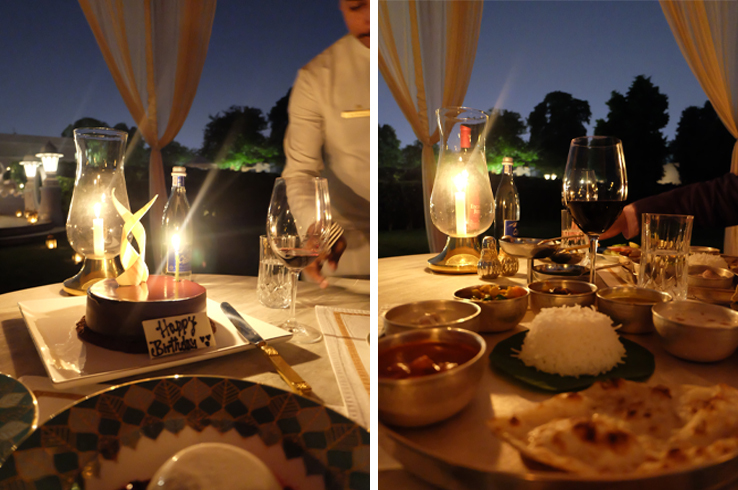 The food was impeccable and if I must say, all our meals at the hotel were probably the best meals we had in Jaipur. An absolute must! 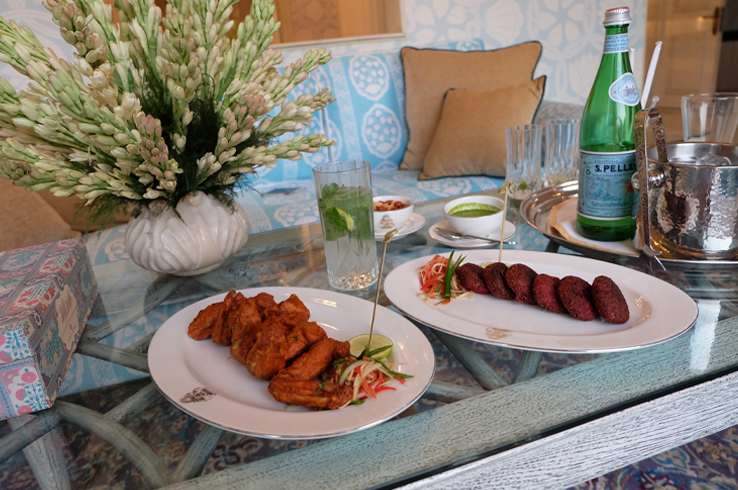 Eat: It’s tempting to stay the entire time at Sujan and have all your meals there– breakfast alone – that Akuri scrambled eggs are to die for and they have the best snacks like beetroot fritters and crispy tandoori chicken wings. Their Rajasthani Thali platter which changes every day is always amazing. 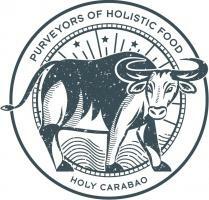 You won’t regret putting yourself at the mercy of the chef. 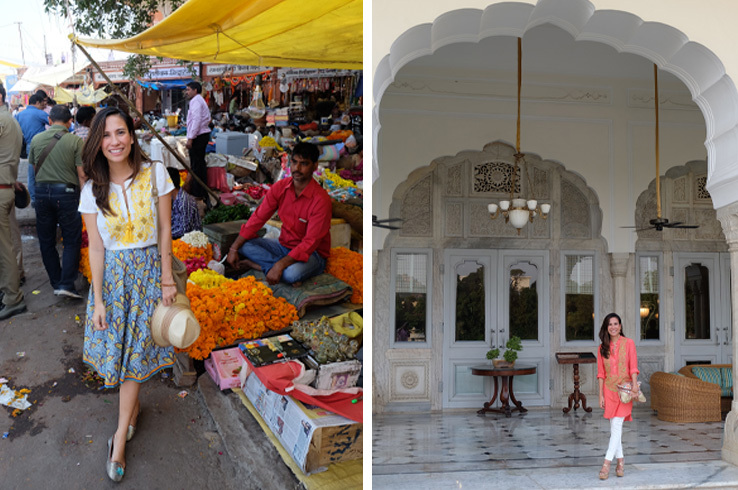 Believe me we had to push ourselves out of the hotel, but do venture out because Jaipur has loads to offer. 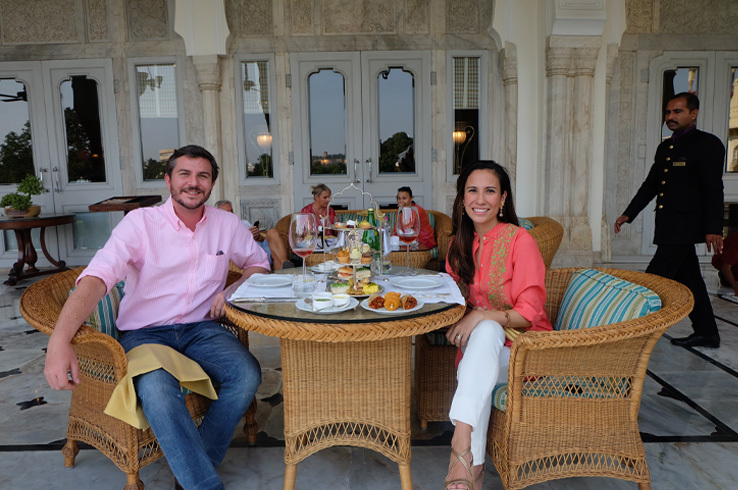 Our favorites were definitely High Tea at Rambagh Palace and dinner at the courtyard of Samode Haveli. 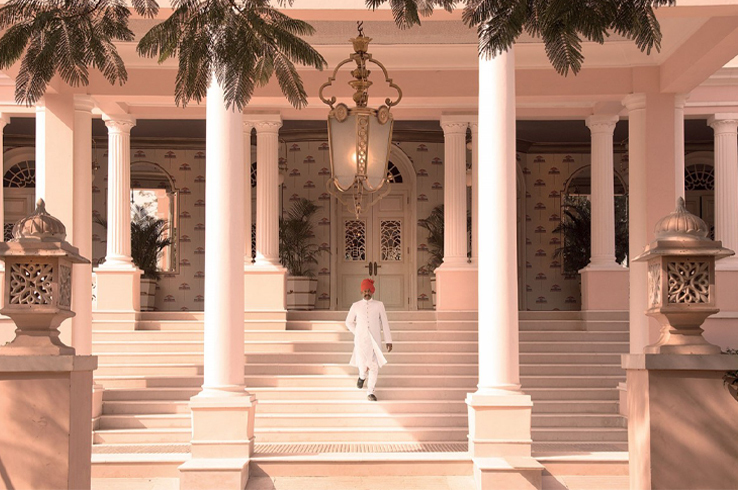 High Tea at the Rambagh Palace: It is THE Grande Dame of hotellerie in Jaipur, a stunning, sprawling property, with uber-luxe service and interiors. 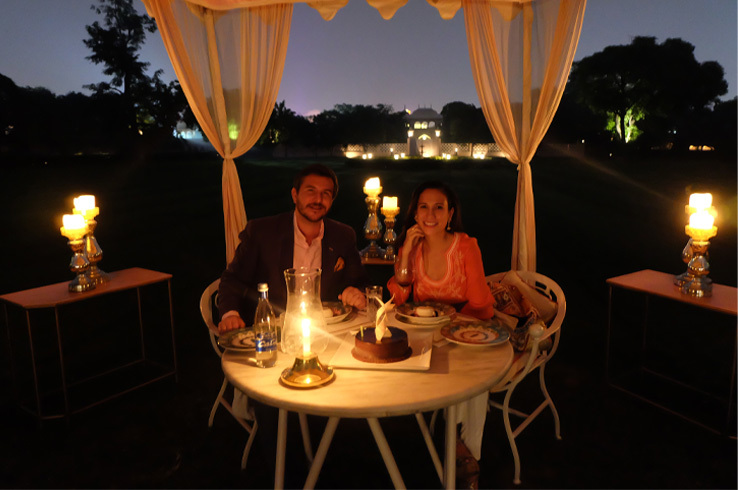 Although they do have a famous fine dining restaurant, we found that sitting on the terrace over high-tea while watching the peacocks prance around the garden more appealing. The terrace is beautiful and I suggest getting one of each tea-set so you can go from kathi rolls and spiced chocolate tarts to scones and finger sandwiches however you please. Do get a glass of bubbly or like we did, a bottle of cold rosé. Tea is lovely and all but a little too civilized, it’s nice to be a bit buzzy on holiday. Dinner at Samode Haveli: The open courtyard of Samode Haveli is a nice place to have a quaint dinner. 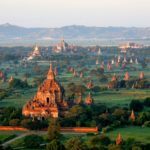 They have a rather interesting wine list – which in general is tough in India and usually limited due to crazy taxes – and a variety of offerings from local to typical continental fare. They do a surprisingly nice caprese salad with juicy tomatoes and really buffalo mozzarella cheese and while it’s tempting to do occidental food, order local. I had this amazing okra dish and I wish I had ordered some tandoori chicken or prawns to go with it. Portions are large so consider sharing when you order from the menu. 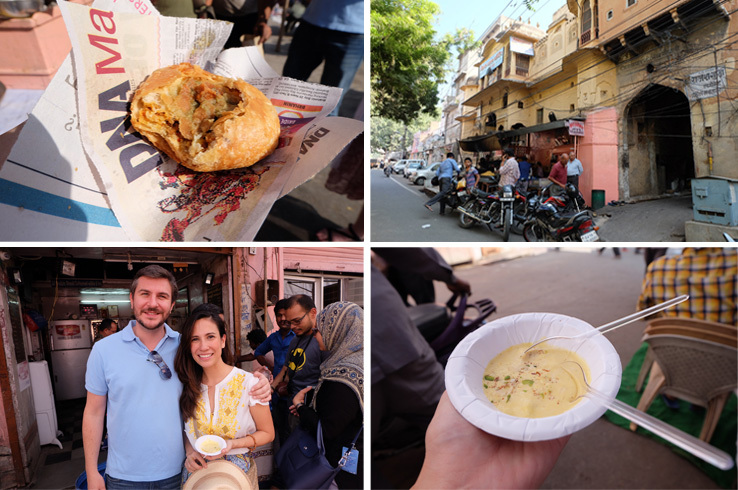 Street Eats: Kachori, lassi, masala chai and all kinds of streetside nibbles look absolutely tempting and in fact are oh-so-delicious. Do be wary if you have a weak stomach and I would in fact go with a guide just to be sure. 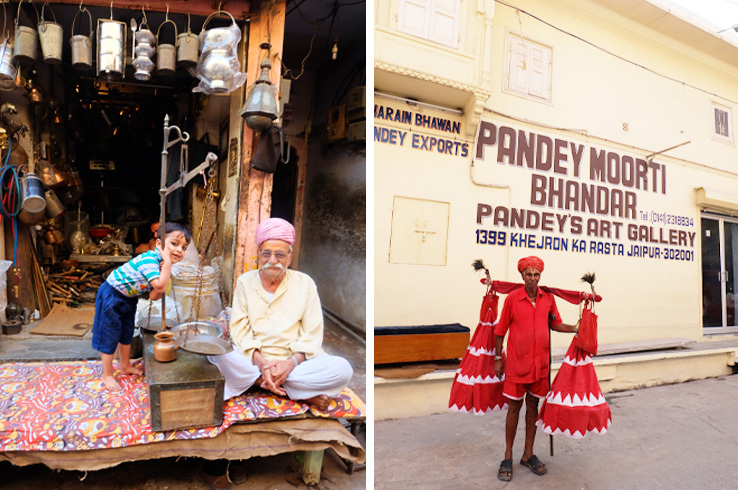 We went on this amazing walking tour with guide, Vineet Sharma who took us to his favorite spots along the way. 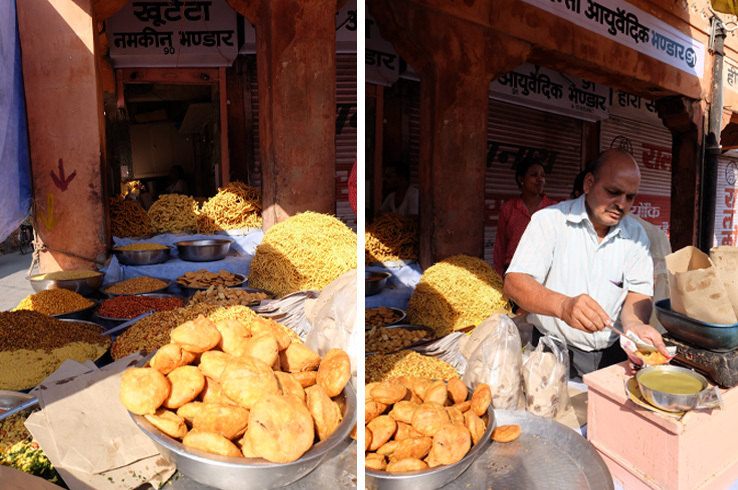 There is nothing more scrumptious than taking a bite out of a freshly made potato kachori, hot, spicy and packed with flavor. Soooo good. 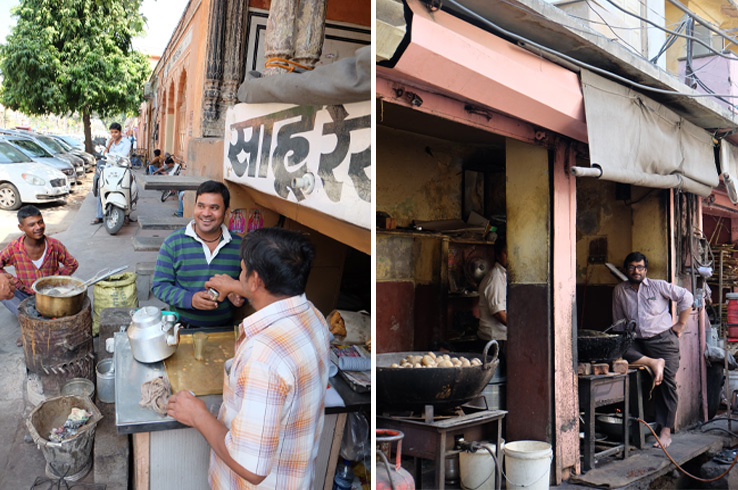 And a freshly pulled masala chai tea with the heady cardamom… Seriously worth the adventure. 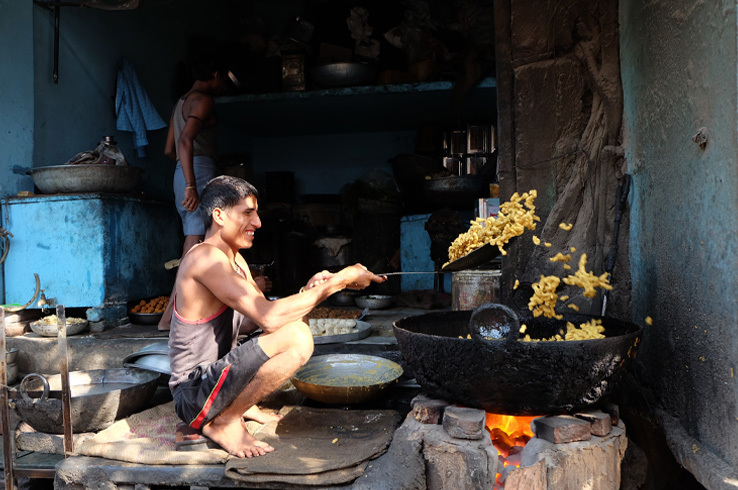 More information on this in the “Do” section but Vineet also offers pure streetfood tours. Drink: Bar Palladio is a gem of a jewel box with stunning interiors. We arrived a little too late in the day and then went back for aperitivo hour. Have a glass of Sula Sauvignon Blanc or a Gin Tonic. I do regret not going for a boozy lunch instead to truly get the full experience. 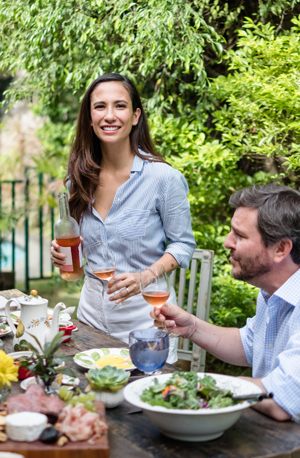 Alcohol in India is heavily taxed, which was a problem for wino’s like my husband and I, so I do suggest enjoying the local Kingfisher beers or being more effective by drinking beverage that pack a solid buzz like Gin and T or whiskey. Read more about my wine experience in India on my new wine blog www.wine-lips.com. 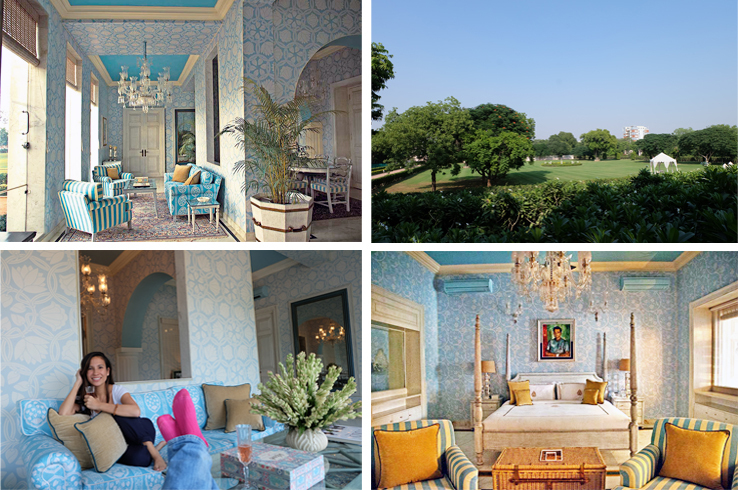 It’s nice to step out of the realm of the luxury hotels and really discover what Jaipur is made of. 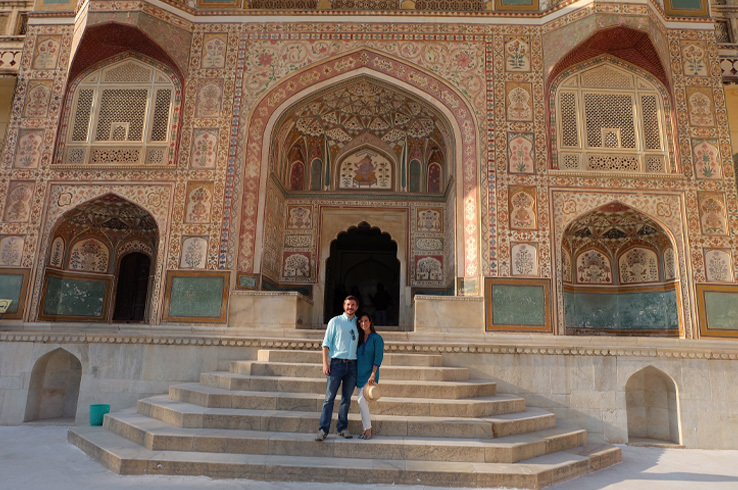 He can take you through the artisans, small havelis, hidden temples, point out notable works of architecture…. 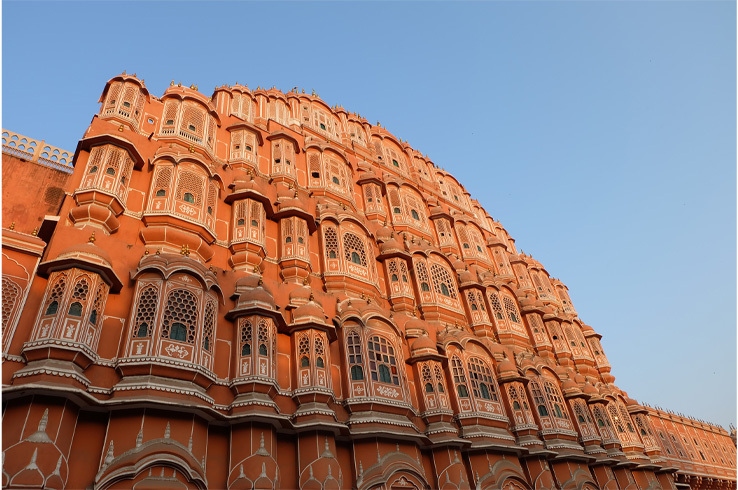 Jaipur is a stunning city and we can only begin to imagine its beauty during its glory days. He can also take you on a street food tour or do a combination of both. You must call him if you go there! Jawa Mahal is a beautiful structure but that’s pretty much what it is. Swing by for 10 minutes to listen to the history and admire its beautiful architecture. Best in the early morning light when it takes on a gorgeous rosy glow. 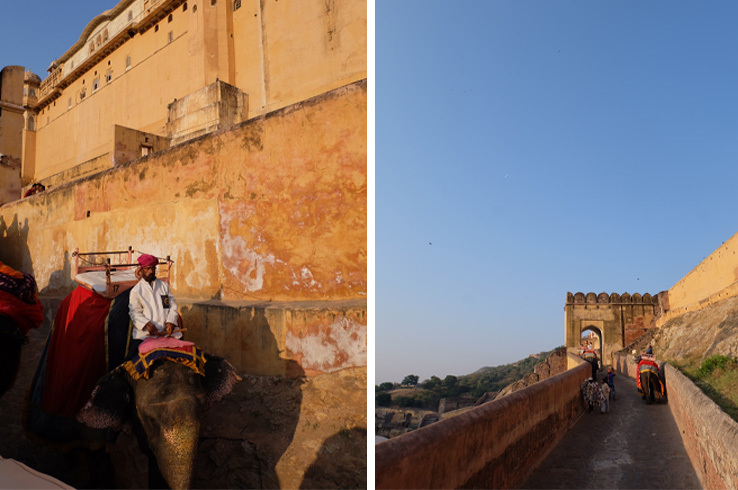 Amber Fort: We had finally gotten used to the abrupt side-to-side movements of the elephant and started swaying along to the rhythmic cling-cling of his bells. 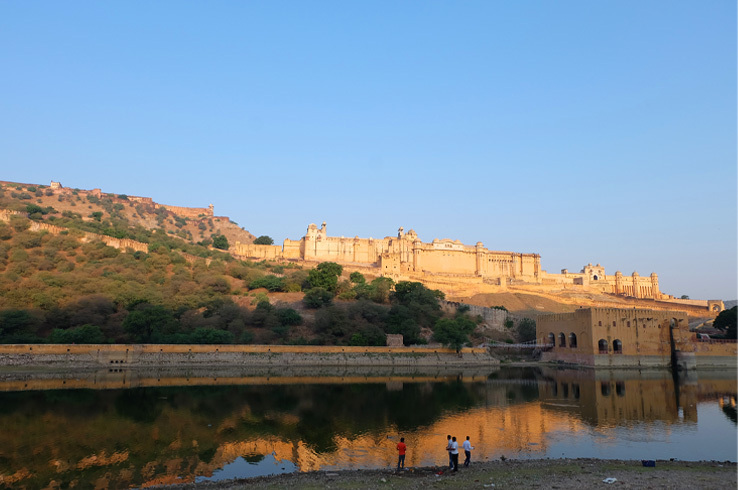 The early morning sun cast a soft beautiful golden color on the majestic Amber Fort and its surroundings. As soon as we entered the gate an intoxicating music filled the kingly courtyard, drums, flutes, an infectious beat that spread from your ears to your soul. Monkeys lept from roof to roof, racing across the walls as if dancing along. 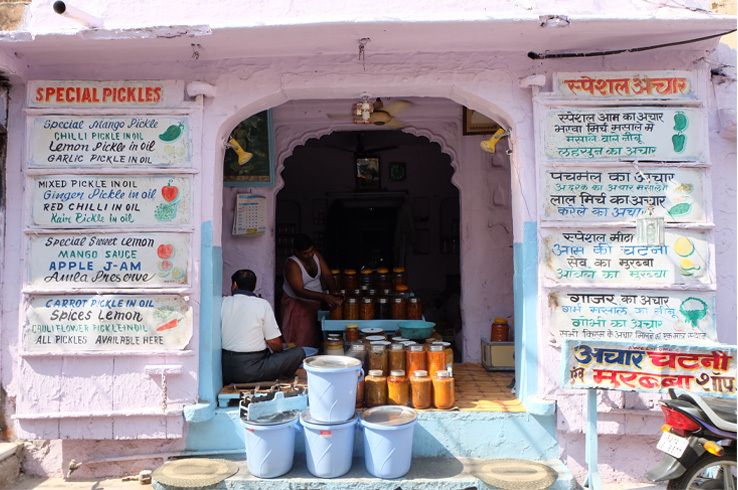 This was probably one of my favorite moments of our entire India trip. 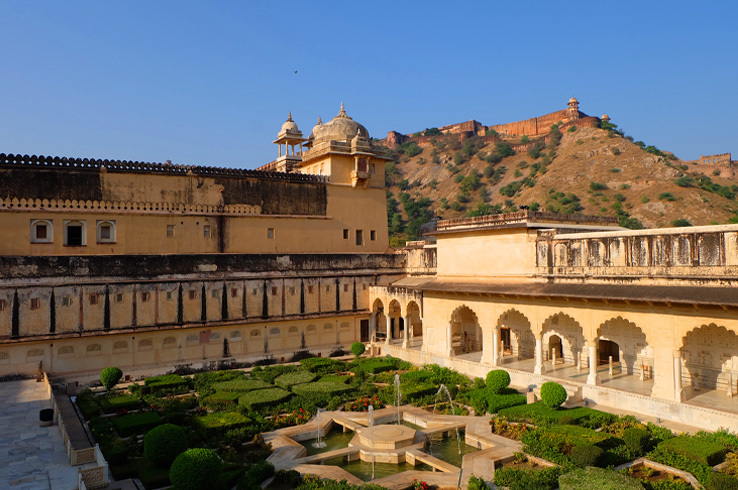 The Amber Fort is truly an experience. The rules for the elephant rides are very strict due to an animal welfare scandal some years ago and they can only go up the hill a limited number of times a day. Our mahout didn’t even have a stick and never poked or prodded the elephant. They were really quite gentle and in symbiosis, the elephant was more of a pet to him than a mode of transportation. 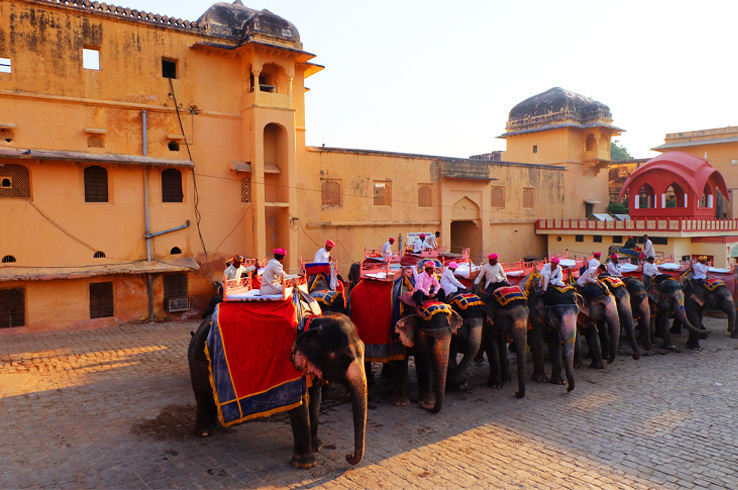 It was explained to us that this is really part of their culture and heritage and that many have inherited the care of elephants since their ancestors. Our guide was amazing as well and gave us insight not only on history but current events. He also knew exactly where to take us before the mass of tourists would come and flood the place. Absolutely beautiful and definitely not to be missed. I didn’t even have the chance to explore their blue pottery and copper and brass works. They also carve gorgeous marble (Vineet can show you straight to the artisans!) 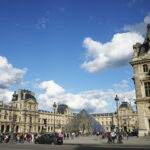 There are streets lined with jewelry shops offering everything from fun trinkets to gorgeous rock sized gems. I bought some beautiful earrings at around 500 to 700 pesos each and wish I wasn’t feeling rushed so I could have bought more. I have to admit I was absolutely overwhelmed and now I know better! 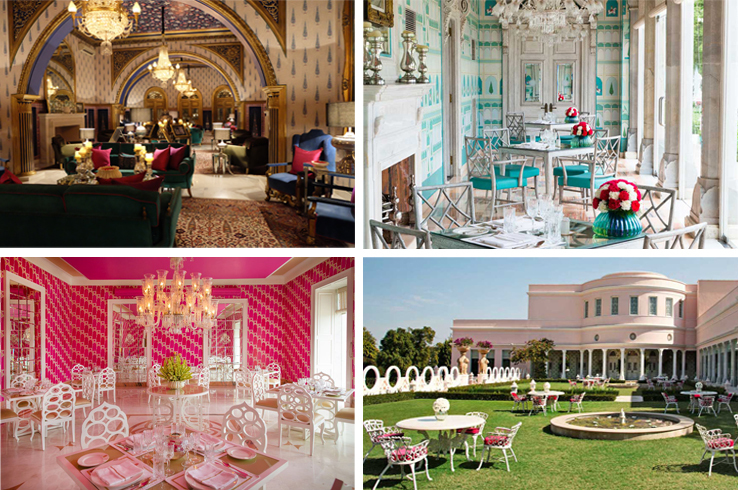 The Sujan Rajmahal and Rambagh Palace have a nice selection of more beautiful and upscale shops. Do check out Hot Pink as well which is beside Bar Palladio. OST: There is music everywhere! The local atmosphere is abuzz with rhythm and color. When the drums and flutes started playing their welcome song as we entered Amber Fort, my goosebumps had goosebumps and my soul was stirring with this intoxicating rhythm. 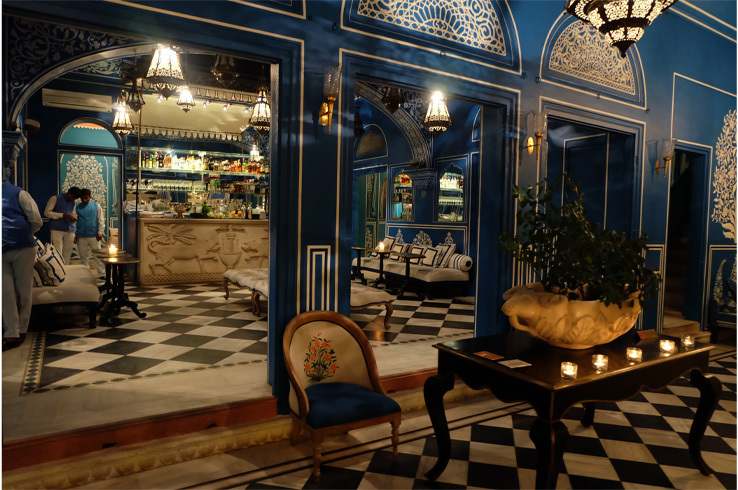 In the evenings, while winding down with your cocktail on a patio of an old haveli or palace, listen to some vintage jazz reminiscent of another time. 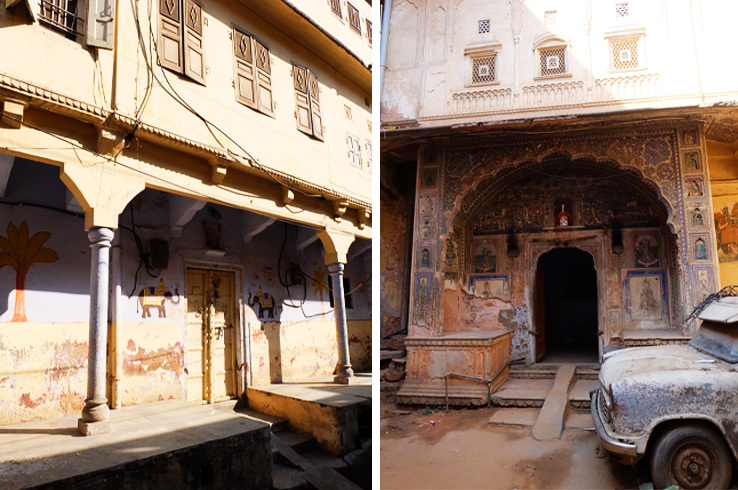 Reading Material: “Love Jaipur, Rajasthan” by Fiona Caulfield is a great resource. It was my bible! And so kindly given to me by Mikka Padua of SeekTheUniq. If you haven’t read it yet, then you must absolutely read “Shantaram” by Gregory David Roberts. Although not set in Jaipur but in Delhi, it’s a beautiful and touching read, one that will really immerse you in the story and culture. You can pick up “A Princess Remembers: the Memoirs of the Maharani of Jaipur.” The glamorous Maharani Gayatri Devi lived through epic turning points in Indian history and culture and the story of her life and how she and her family managed to adapt to the times and stay current and relevant is fascinating. Season: November to February has stunning weather with warm sunny days but with a comfortable dryness in the air. 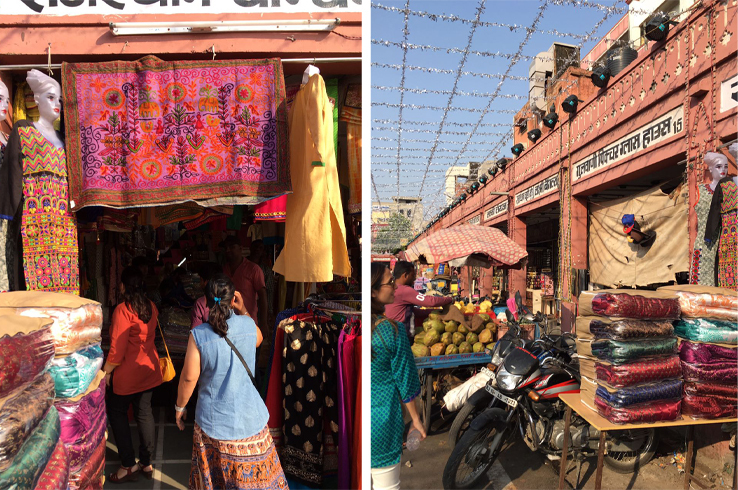 You can easily go to markets and explore without busting a sweat. 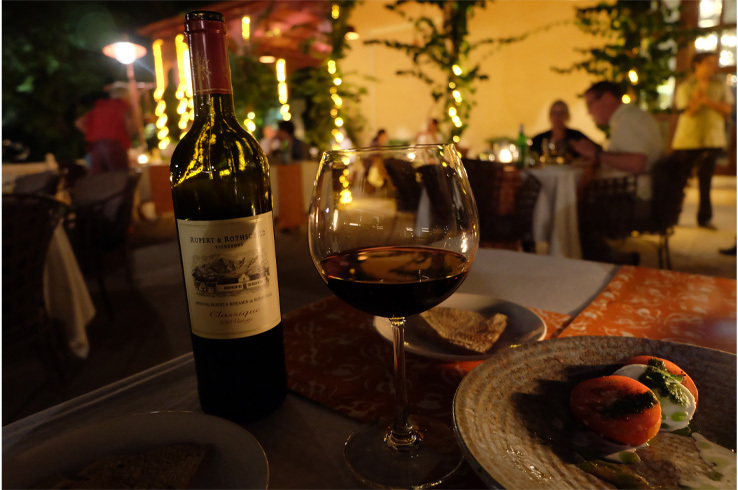 Evenings are absolutely delicious with the most perfect temperature for outdoor dining.